Hey lovelies, today I'm going to review the Number 1 rated Cleansing Balm, judged by the popular Korean show, Get it Beauty. 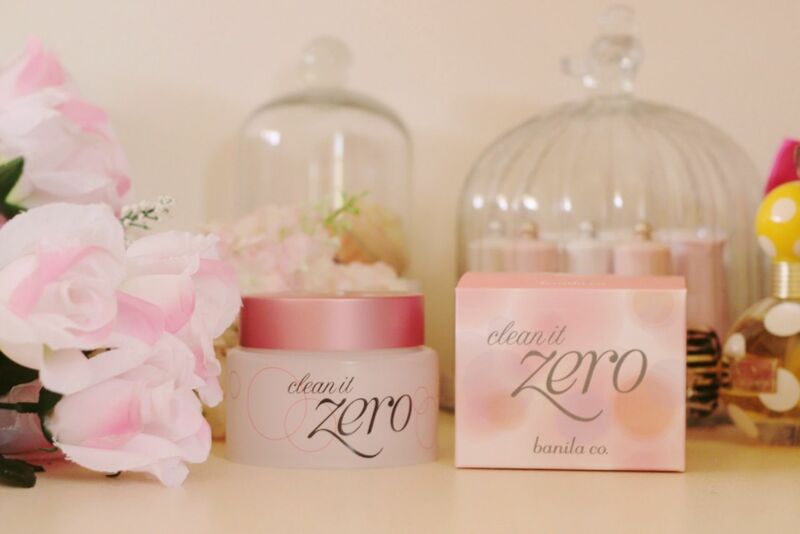 Described as a whole new concept of oil cleanser, the Banila Co Clean It Zero stands out from other cleansing oils due to it's solid, moist sherbet-like texture, instead of the traditional runny oil. I'm currently using micellar water as my makeup remover, but my prior makeup remover was an oil cleanser which I adored (Sanctuary Spa's, for anyone looking for a good but affordable oil cleansers!). But now I've come across an oil cleanser I like even more - Banilo Co's Clean It Zero. As you can see, the texture looks solid in the container, however it's soft to the touch and will melt and then turn into an oil like texture once in contact with warm skin. It is a faintly scented product, smelling vaguely sweet and floral like. It might just be me, but I think it smells similar to sherbet candy! Under the twist lid is a clear plastic separator which houses the complementary spatula. It's nothing fancy but it does the job scooping out the surprisingly soft textured balm. You can then deposit the balm onto your hand and apply blobs onto your face or use the spatula to deposit blobs directly to your face. I put a blob on each cheek, on my chin, and a blob on my forehead. Then I use both palms to spread the balm over the surface of my face. At that point the balm will have 'melted' somewhat and it will feel something akin to spreading a thin textured version of petroleum jelly onto your face - it's not as bad as it sounds! As you start to massage - or even swipe a finger, you'll notice makeup literally dissolving or disappearing away. Continue to massage for a few moments more to ensure all makeup comes off (or give yourself a mini facial experience), and then splash with water. The balm will emulsify - the balm will start to look like what a thin milky cleanser would look like on your skin, ie whiteish in colour. And then Voila! Clean, smooth skin - you can follow up with cleanser if desired, but if you don't, skin feels perfectly smooth and not greasy at all - no oily residues are left behind. I have dry normal skin and I love how this cleanses my skin without stripping it, and actually leaving it feeling softer instead. I must note that the Clean It Zero works fabulously on base makeup, ie bb cream, however it has little effect on lip staining makeup such as lip tints, or very pigmented lipsticks which stain the lips. As for eye makeup it works well on all eye makeup I've tried, however if you wear a lot of creamy or dark coloured eye makeup, be sure to save the eye area for last, as you will end up with dark smears everywhere once the balm dissolves the makeup! Very waterproof or smudgeproof makeup may need a little extra massaging to completely clear the area, but it is effective, though messy. Wiped off with a tissue - all clean, in less than 60 seconds! Also note to be careful to not get the balm into the eyes, as it will cloud your vision until you wash it out - but on the plus side it doesn't sting! I also must point at that this does contain mineral oil - I know many people dislike the thought of using products with mineral oil in it, however I personally have not had any issues with it at all. 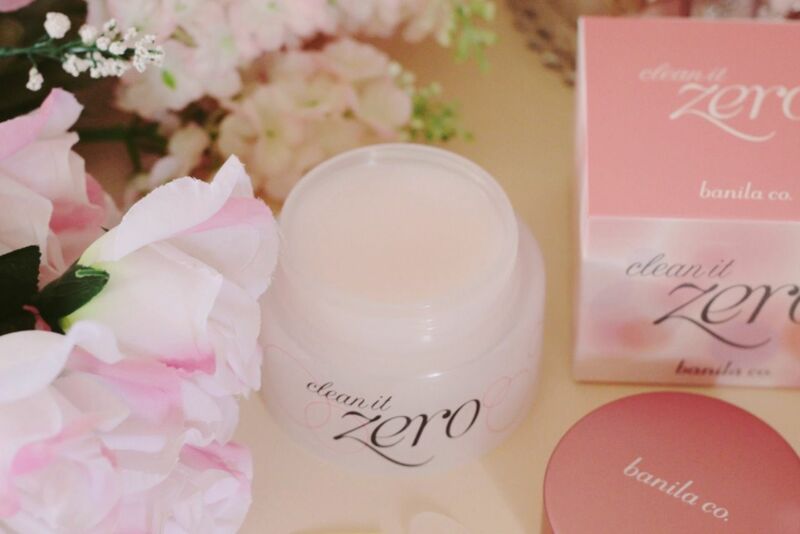 You can purchase the Clean it Zero balm off Beautynetkorea here, or you can take a look at the other types in the range, which Beautynetkorea also stocks. Have you tried oil cleansers before? What about solid balm oil cleansers? I've heard so many good things about this cleanser! I definitely need to try this out once my Shu Uemura oil cleanser finally runs out haha. That looks great I have to try it! It's a fave with many for a reason! I wear more minimal makeup recently and find it does the job - I do prefer an oil based remover separately for my eye makeup though! This looks amazing, thank you for the review! I've been looking for an oil cleanser to replace my last one and I might give this one a try! I usually clean my face with liquid make-up remover or wipes, then with an oil cleanser and lastly wash my face with a general cleanser - if I skip the mid step, I end up with leftover make-up around my eyes :/ So I'm happy to find a good oil cleanser from a Korean brand!